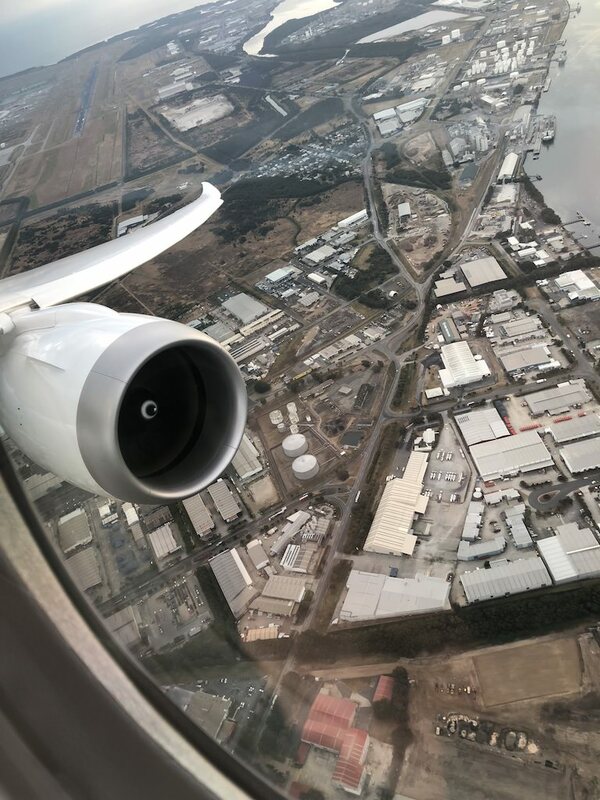 After all the changes to the itinerary, when the dust settled I had a day in Brisbane before flying to Sydney for the journey back home. Okay, it’s a beautiful town so as they say, no worries. 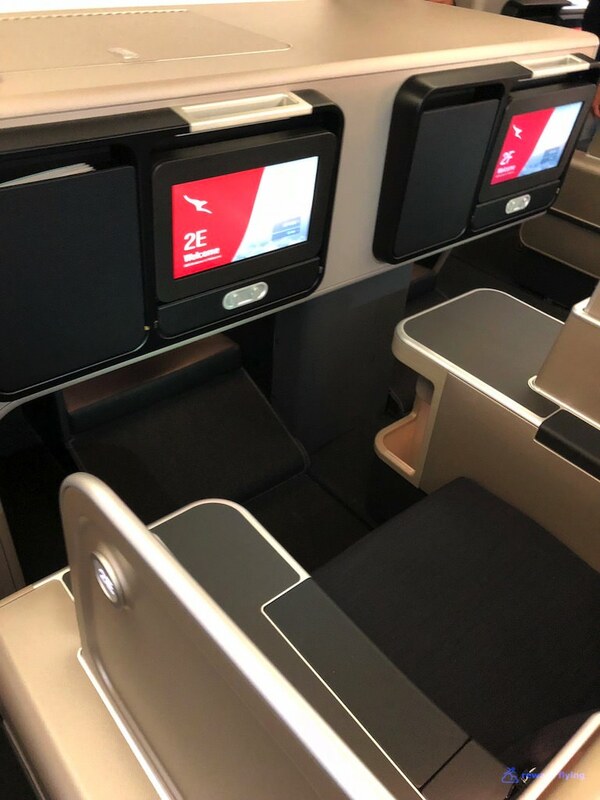 Then a month or two before my day in Brisbane, Qantas decided they’d fly their new 787-9 between Brisbane and Melbourne (no doubt for crew training) and opened up most of the cabin for reward redemptions as well. There were 2 flights, morning and or late afternoon. With no need to go to Melbourne, but a desire to see the inside of this plane, I choose the early one. 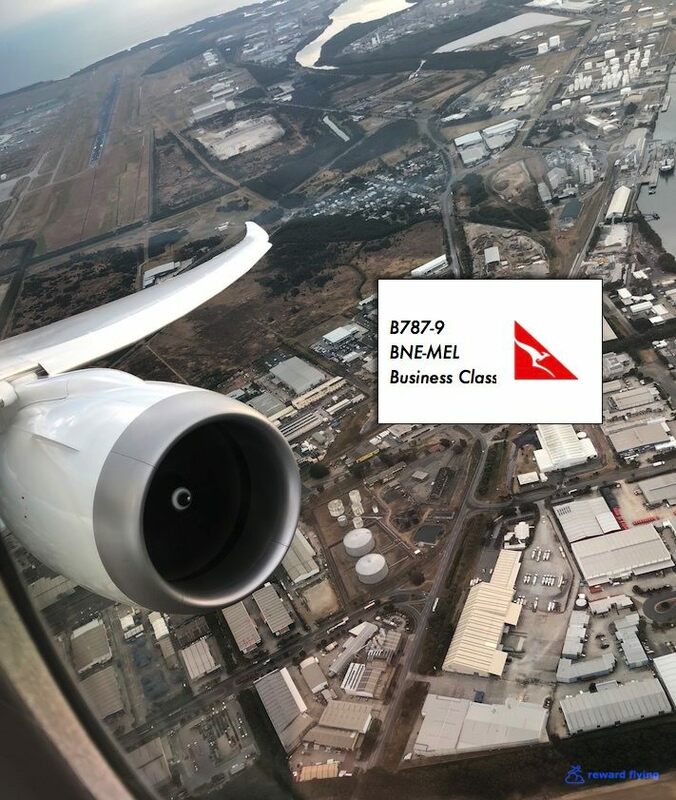 QF609 departed at 7AM. It was a 5 minute walk from the Brisbane ibis where I stayed to the domestic terminal before the sun was up. At this time on a Saturday morning security was a breeze. Once airside, at the gate across from security sat QF609. 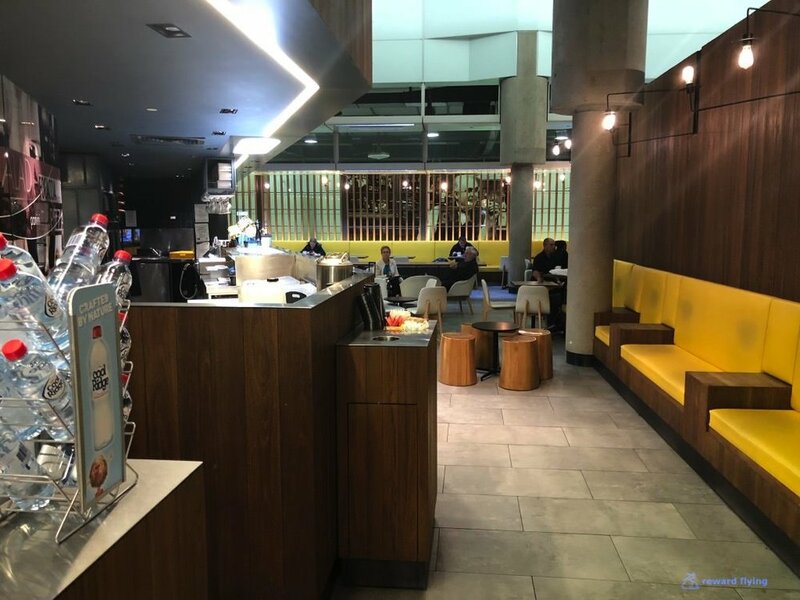 With plenty of time I decided to check out the Qantas lounge in BNE. 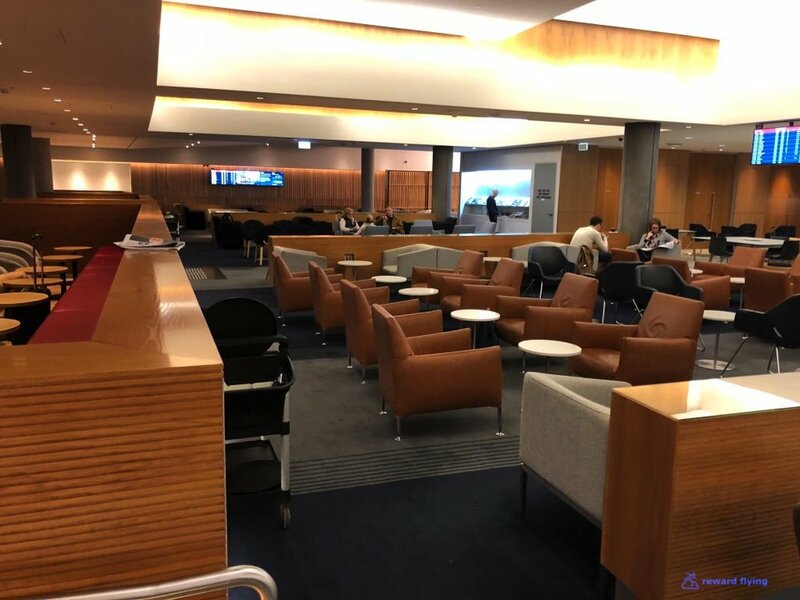 Unlike US domestic policy, when you fly business class in Australia you have lounge access privileges. Fairly typical and certainly empty at this time of the morning, I had other plans. The other Priority Pass is Bar Roma. 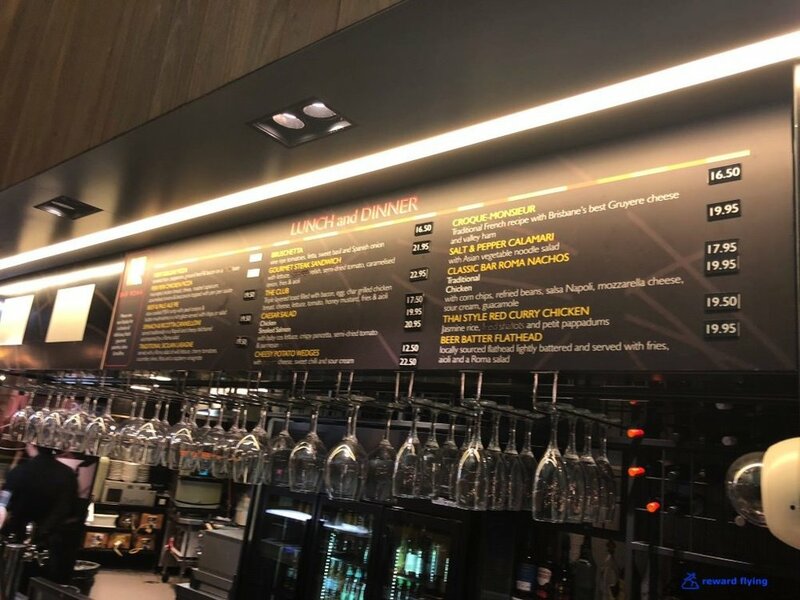 It’s in the main concourse that connects Qantas and Virgin Australia. Not in the mood for a full breakfast but unwilling to pass on a deal I ordered a coconut toast and coffee which was far below the Priorty Pass maximum of 36AUD. The young lady insisted I get something else. I loaded up on extra bottles of water. 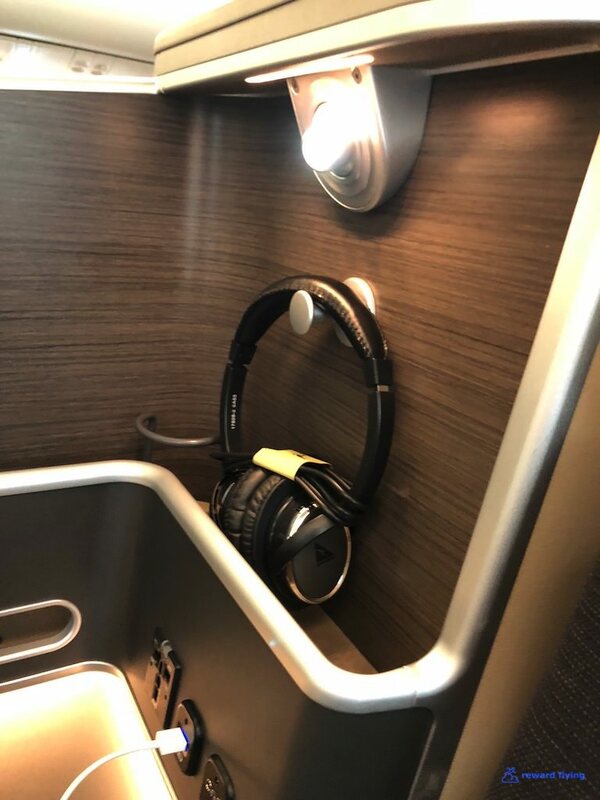 The finish of the Vantage XL pods looks smart inside this cabin. My seat 3A along with the Bar Roma coffee I spilled. 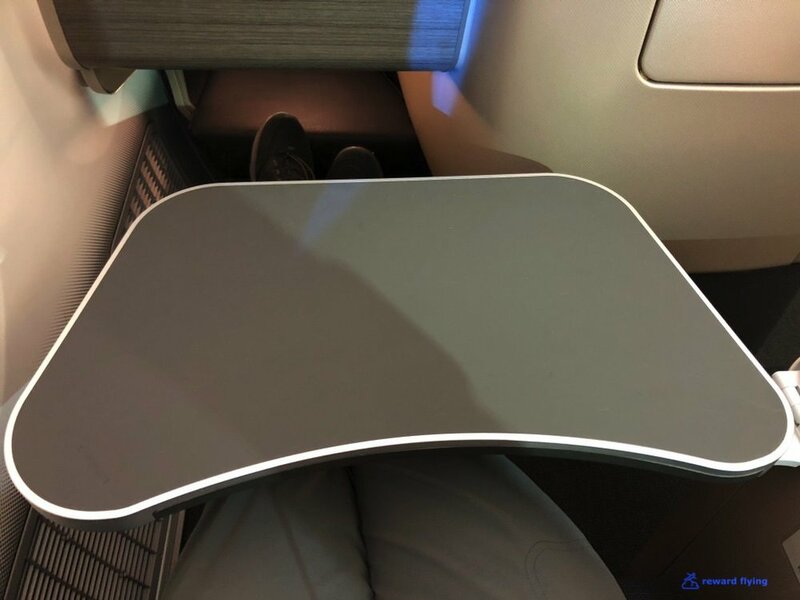 I think the fabric finish, as opposed to the faux leather on domestic A330s, looks better and is certainly more comfortable. 2A is an aisle hugging seat. You get less privacy with these, but more storage and a bigger side table. You don’t have this cubicle with true window seats. 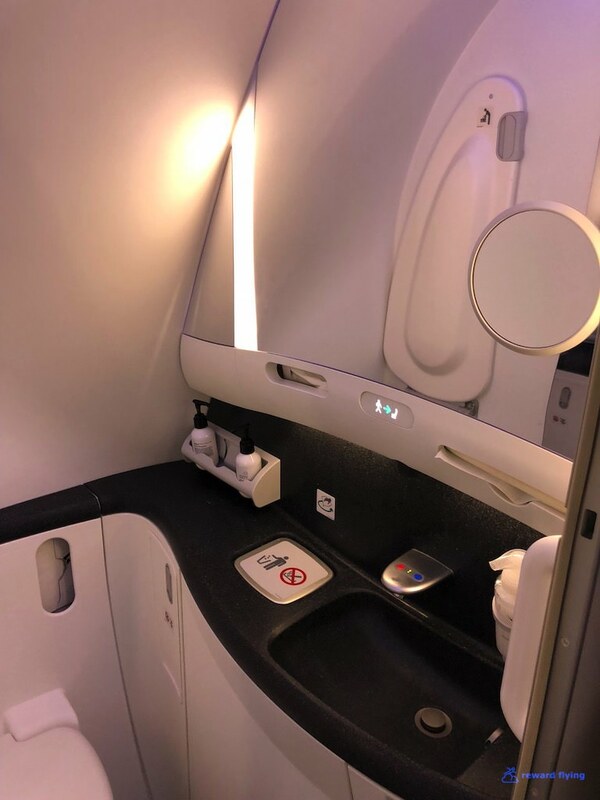 I prefer the window and there is a decent privacy partition with these seats that you don’t get with the aisle huggers. Alternate rows with center seats apart from each other suffer from aisle exposure. Center seats together have more privacy and are great for couples. Can change even on a short flight. 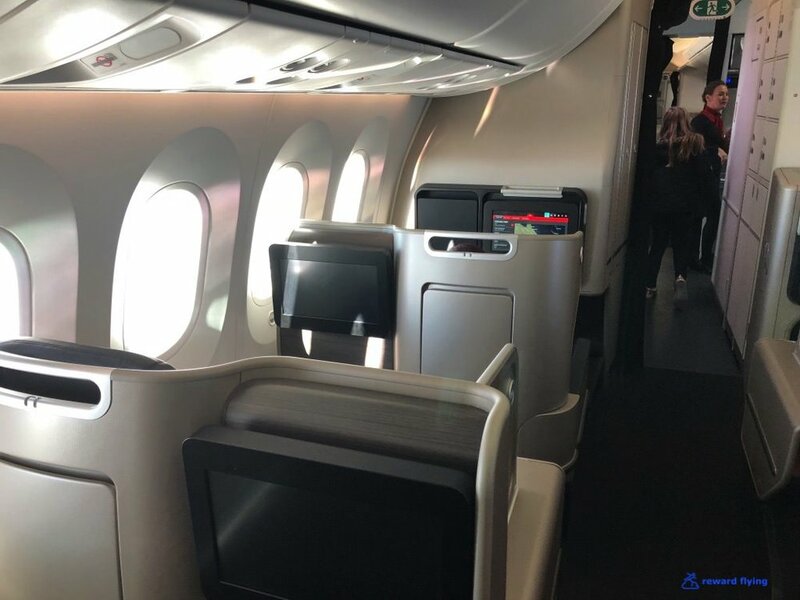 This 787-9 has a generous 42 business class seats in two cabins. The front cabin has 30 seats while Seatguru marks only 4 green. These are window seats. Row one isn’t marked green probably because of the galley, but they’re a reasonable distance away so I don’t think the galley causes much disturbance. The min-cabin is a compelling choice. However being over the wing you will get some engine noise. While the 787 is VERY quiet on take-off, I find is louder than the Airbus A350 at cruise altitude. This is the reason row 5 window isn’t green. The window is misaligned, or actually you only get one instead of two. 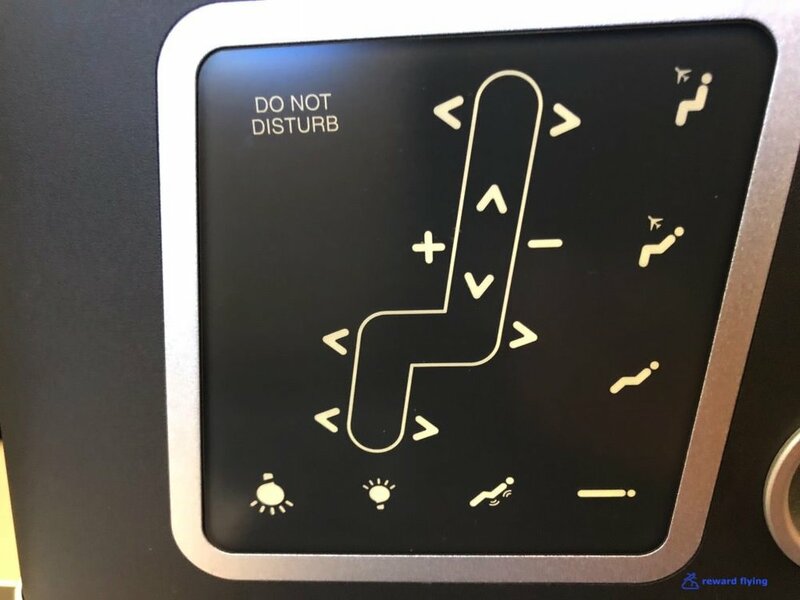 It’s a shame the designers didn’t arrange the cabin to place an aisle hugging seat here. The crew gets a decent size galley. And a peak up front. 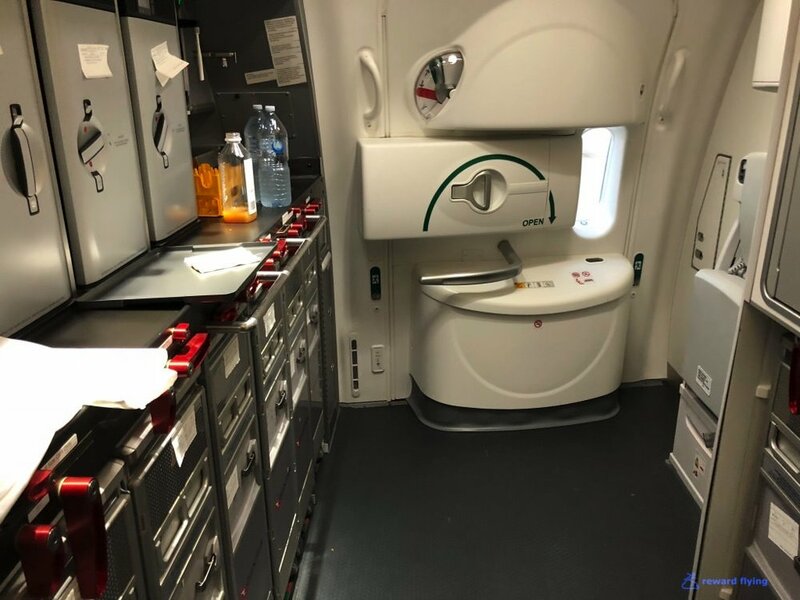 There are no storage bins above the center seats in rows 1 and 2 to accommodate for the crew rest bunks. 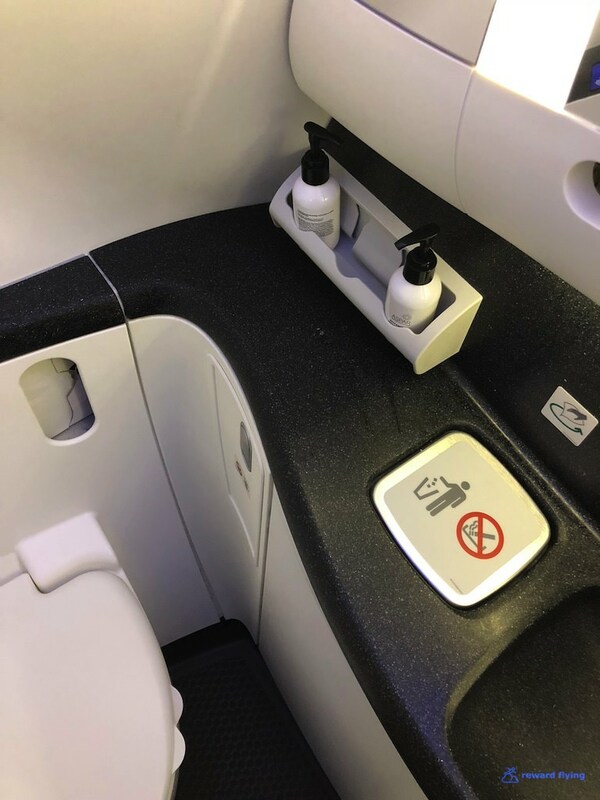 Stock Boeing lavatories with a shaving mirror. Time to go. My favorite photo of the trip. 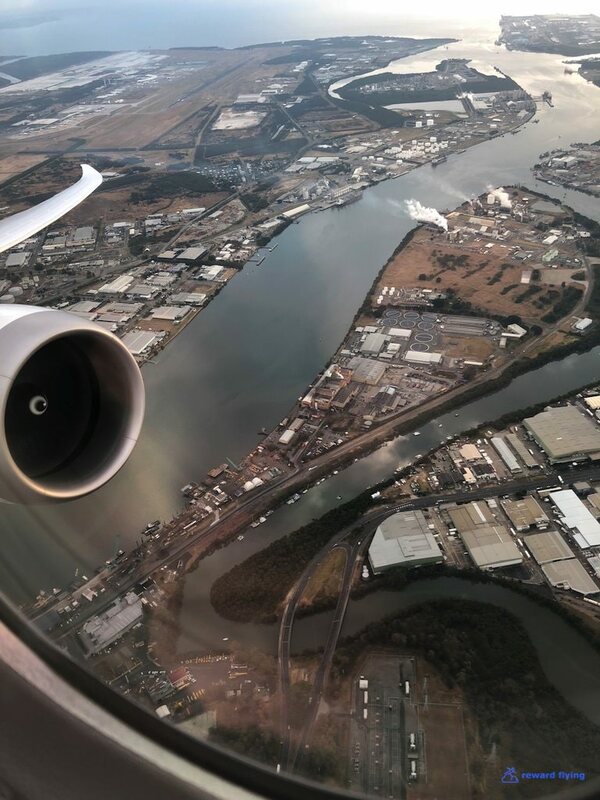 Turns out it was a good choice taking this flight as Brisbane was facing a rainy day. The five shades of Boeing’s tinted windows. Looks like they’ve solved the issue of light entering with the darkest tint. It was black. There is no floor storage under the ottoman. The foot area is probably what I’d call adequate. 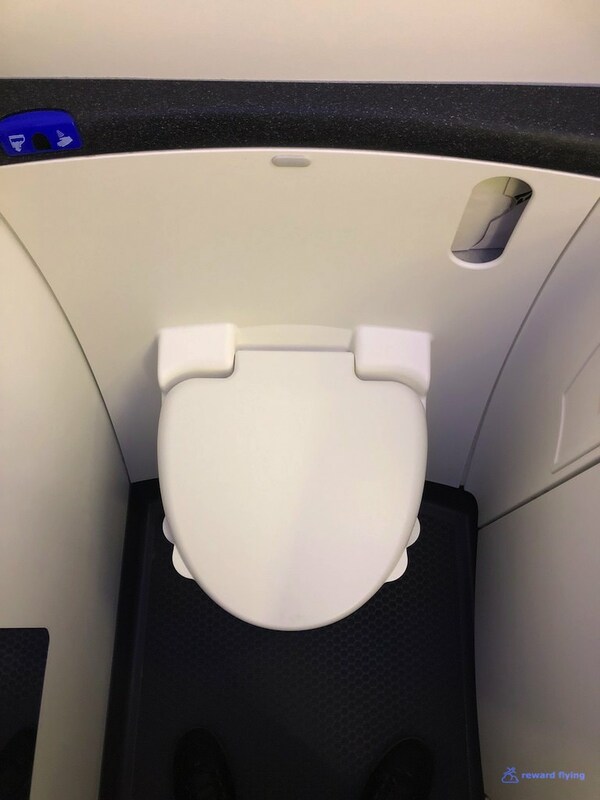 A few more features of the seat, including a nice sized meal tray as well as plenty of easily accessible power outlets. 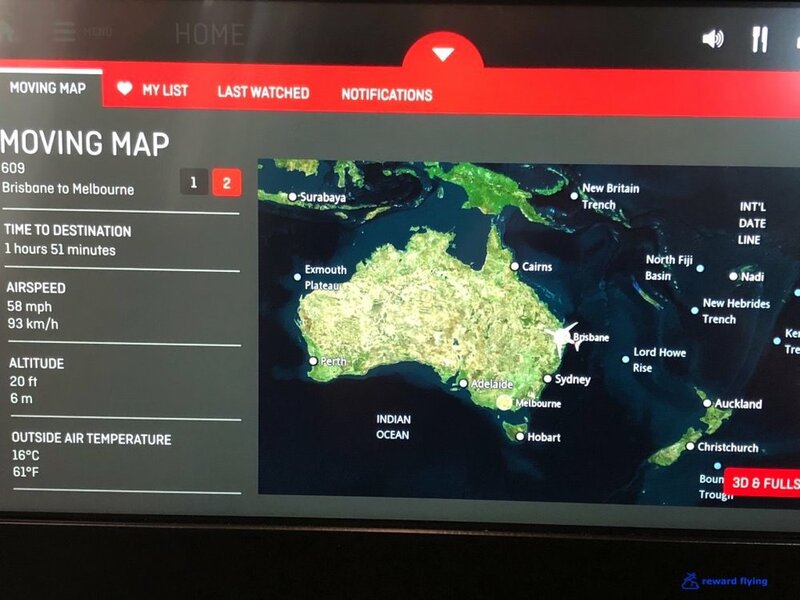 Qantas served breakfast on this flight. Finally the IFE which was upgraded from the A330 monitor. Content was good and clarity was fine without the windows tinted completely black. The aircraft did not have wifi. One of the major positives with an aircraft like the 787 is how high it can cruise. Granted not much fuel was needed for this flight, but how often to you fly at 43K feet? You could use any of the oneworld currencies for this flight as well as Alaska Airlines. American and Alaska airlines were 20,000 points, Qantas is 24,000 and Asia Miles charges 30,000 points. The winner on short haul is of course British Airways Avios for the price of 15,000 plus $27 in fees. ✔︎The cabin was attractive. However the bulkhead walls were bare. Why not put your logo there? ✔︎Grab a window seat otherwise face privacy consequences. Many people prefer forward facing seats. These Vantage XL seats are some of the best in that class. 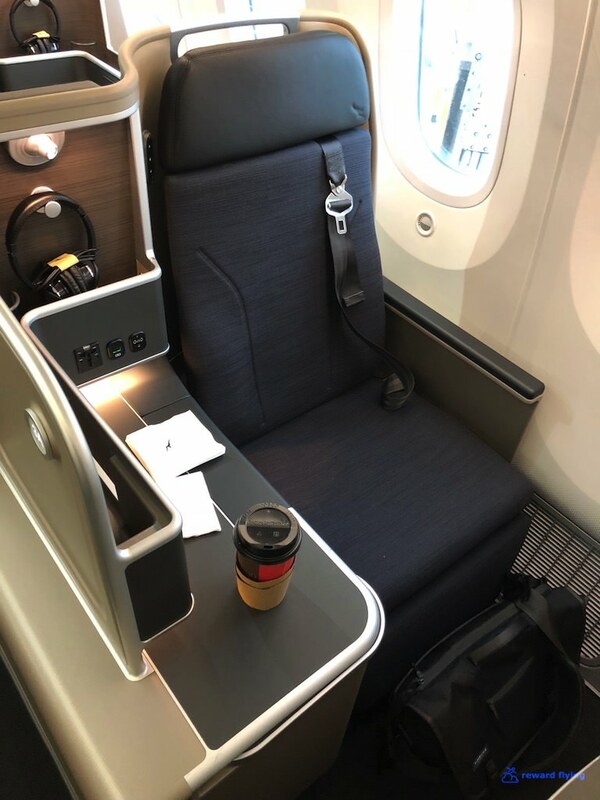 I tend to prefer reverse herringbone seats for privacy, but have enjoyed long haul flights on SAS and Delta in this type of seat. ✔︎A small but nice breakfast was served. The food was very good. 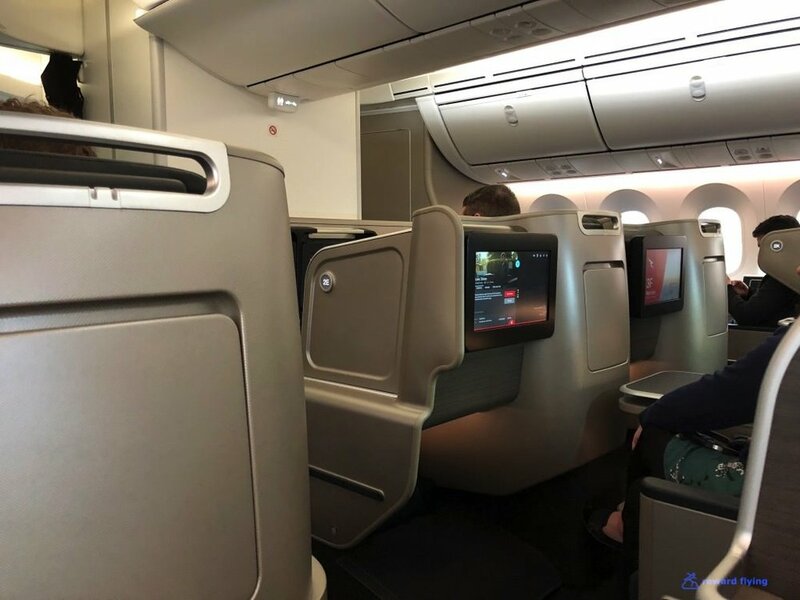 ✔︎The screen was improvd for this aircraft over the A330 monitores. Content was plentiful and the airshow was detailed. ✔︎ WiFi This aircraft does not have WiFi which begs the question, why? 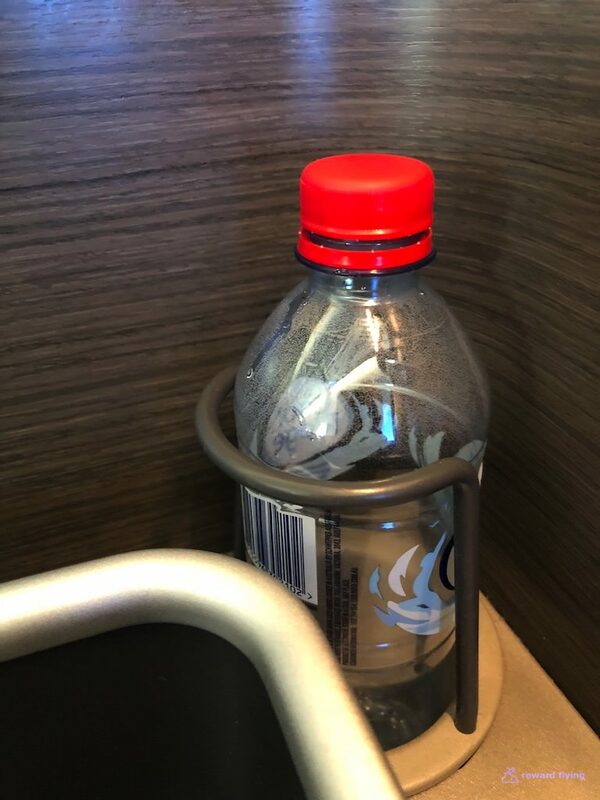 ✔︎Tom the front cabin attendant on my side was friendly and polite, plus he helped clean up my coffee spill! ✔︎B787-9 This aircraft was delivered in June so it was barely 2 months old. What a great 2 hour flight. But the question becomes is this a 17 hour flight airplane? If you get a good window seat maybe. 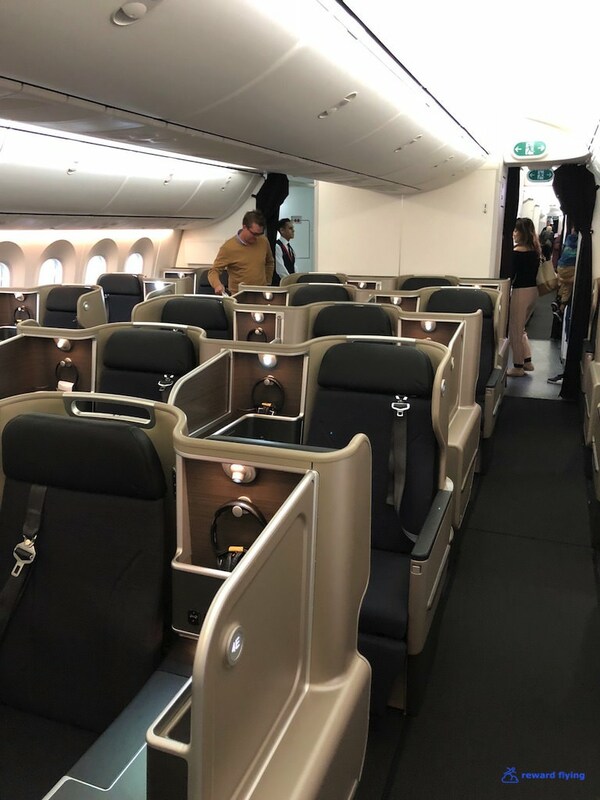 Of course I didn’t get to test the bedding or a variety of meals and I'm not even sure they have mood lighting as it wasn’t used on this flight. Plus in this day of technology that’s a long time to be away from the digital world. I’m not sure I’d be committed to taking this flight from say the rumoured Chicago to Australia.